The stunning community of Quail Creek is truly a haven, an esteemed magnificent neighborhood sought after by many…singles, couples, families and retirees of all walks of life. Conveniently located just a short drive from the sandy white Gulf of Mexico beaches, five-star luxury hotels, superior hospitals, medical facilities, schools, upscale shopping and gourmet dining at The Village on Venetian Bay, The Waterside Shops, the renowned Fifth Avenue South and Third Street South in downtown Naples, the trend setting night life and dining at Mercato, The Naples Philharmonic at Artis-Naples and The Baker Museum, The Naples Zoo and The Naples Botanical Gardens… Quail Creek homes for sale offer a Florida lifestyle of idyllic ambiance with golf and more. Set comfortably within more than 640 acres of lush tropical landscaping, crystal-blue fresh water lakes, and natural protected preserves with flowering marshes, the community of Quail Creek offers a graceful, relaxed and carefree lifestyle with many paths for walking, jogging and bicycling. 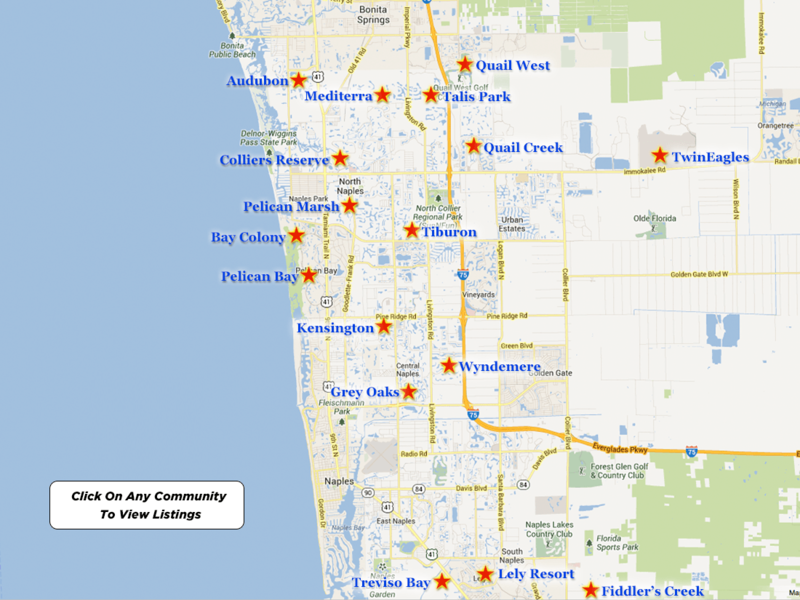 In fact, the beautiful community of Quail Creek is an Audubon sanctuary…a home for many varieties of birds including the Broad-Winged Hawk, the Osprey, the Bald Eagle, Blue Birds and several water birds including the Snowy Egret, the Great Blue Heron and the Anhinga. Additionally, the Quail Creek community is populated by Otter, Red Fox, Woodpeckers, and Red Squirrels. Yet, the main attraction of this great neighborhood is the award winning full service, member-owned Quail Creek Country Club. 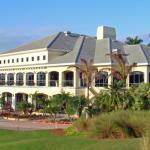 As one of the first private country clubs in Naples, Florida, Quail Creek Country Club was established in1981. Located in the Quail Creek Estates neighborhood with two spectacular 18-hole par-72 golf courses, The Quail Course and The Creek Course…this traditional club features two very different courses; each embracing a unique personality and flavor of its very own. 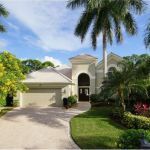 The well-maintained golf courses and splendid clubhouse are surrounded by 291 beautiful estate sized homes, giving the neighborhood a feeling of expansiveness and spaciousness. Additionally, both courses have a limited amount of members…only 280 members per course, thereby enabling a lower course density with greater ease for members to access tee times. 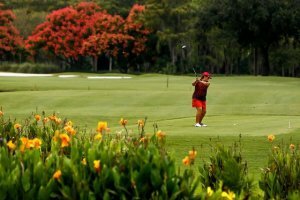 Both The Quail Course and The Creek Course are truly spectacular as reflected by the rolling lush fairways, fresh water lakes and ponds, flowering marshes, towering oaks, soaring palms, pristine pines, well-maintained greens, waterfalls and one-of-a-kind rock formations, amazing Florida wildlife and the natural preserves. Let us explore and focus upon each of these championship golf courses in greater detail. The Quail Course is an entertaining, leisurely 18-hole regulation course located within Quail Creek Country Club in Naples, Florida. From the longest tees it boasts 6,231 yards of golf for a par of 72. The dynamic course was designed by the esteemed golf course architect, Arthur Hills, ASGCA and opened in 1981. The course rating is 70.4 with a slope rating of 129 and proves to be a challenge for golfers of every skill level. The Quail Course is a private equity facility golf course with an Accompanied by Member guest policy. 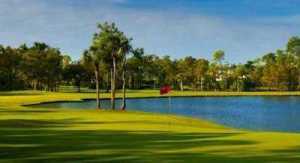 The Creek Course is an exciting 18-hole regulation course located at Quail Creek Country Club in Naples, Florida. From the longest tees it showcases 6,830 yards of spectacular golf for a par of 72. This wonderful course was also designed by Arthur Hills, ASGCA and opened in 1981. Additionally, the course rating is 73.3 with a slope rating of 136. The Creek Course at Quail Creek Country Club is also a private equity facility golf course with an Accompanied by Member guest policy. The main club house spans 44,000 square feet and offers exceptional benefits and amenities. One of the key benefits of becoming a member of The Quail Creek Country Club is that you do not have the requirement of being a resident. The magnificent clubhouse serves as a resident gathering place and offers the amenities and accoutrements of a Neapolitan lifestyle… from casual dining in The Greenside Grille to gourmet fine dining in The Cypress Room. Quail Creek Country Club offers something for everyone…Championship golf with a staff of PGA professionals, a contemporary fitness center, a full service spa with a wellness center, a Tennis Center with thirteen lighted Har-Tru courts and a USTA certified professional staff, casual to gourmet dining and an array of upscale social activities and private events that will keep you busy 24/7. At Quail Creek Country Club, a professionally trained PGA staff is here to serve you and all of your golfing needs with private and group golf lessons, a full service pro shop, golf clinics, demos and so much more. Regardless of your level of play, Quail Creek Country Club will continue to call your name again and again…beckoning you to the challenge of playing on two of the finest golf courses not only in Southwest Florida, but throughout the country. The Class “A” Membership offers full club privileges, including golf, tennis, fitness and spa, dining, access to clubhouse, special events and activities and so much more. The Preview Golf Membership provides full club privileges, including gold, tennis, fitness and spa, dining, access to clubhouse, special activities and events and more. Additionally, a bonus feature of this membership is that the payment of the initiation fee is deferred for 12 months. Members may also choose to opt out, and decline to join as a full member at the end of the 12-month preview term with no requirement to pay the initiation fee. The Associate Membership offers full club privileges, including golf, tennis, fitness and spa, dining, access to clubhouse, special activities and events plus more for members under the age of 46 years. Quail Creek homes for sale are on the ascent again and all the more reason for the sophisticated, well-informed buyer to explore his and her options with a seasoned real estate professional who understands the luxury real estate market and the distinguished individual in search of that exceptional residence. Sales prices for Quail Creek single-family homes begin in the mid $500,000 range and up to $2,500,000. Quail Creek Estate homes for sale, start at approximately $250,000 and range upwards to over $2,500,000. The Quail Creek community is calling your name…offering an idyllic ambiance of golf and so much more. He truly believes that real estate sells to the “right” person and at the “right” time…a special residence tailored for each unique individual. 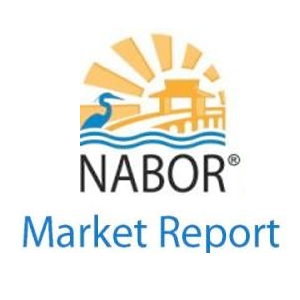 When you have made the decision to start your home search, please contact Corey Cabral for all of your real estate needs… 239-963-6590 orccsellsnaples@gmail.com .